I am helping Knute Severson with his startup concept, Grand Tasting Beef. As stated in the blog, “we are dealing with equipment, living organisms, mother nature, and other complexities not faced by a pure infotech startup,” and Knute’s startup would definitely be classified as a business dealing with living organisms. As such, prototyping may be rather hard to implement, but it is still possible. He plans to perform the first A.I. this fall, with the first products being ready around January of 2018. The first “prototype” products can be used to gain customers’ attention and lock in sales for larger-scale production. The superior taste as well as the “story” behind the products will help to initiate and maintain customer relationships. Me and my business partner are developing an equipment that measure the level of manure in the pits using a sonar technology similar to the one used for fishing. I think that with right expertise we can develop a prototype, but the process will be not so fast because, at the moment we do not have these expertise and the technology is not consolidated. however when the first prototype will be ready we can test it in the farm of my business partner and show it to potential customers. I think that it is very important to involve potential customers because in this way we will be able to understand what they really need and adjust our product according to the characteristics of their farms. I can see this apply to landscaping in a huge way. Learning what the customers want from our business so that we can better customize for future customers will greatly help a blossoming business. I can take this idea and put it towards building my first rain barrels and gardens. The barrels will change as I better learn how to build them. I have crude plans in mind but until they are built and tested I will not know what people are looking for. Building a prototype has become a project. My business partner and I are developing a lawn care company from the ground up. We plan on purchasing newer commercial grade lawn care equipment to ensure customers the best quality for their money. By doing this, it’s going to be quite difficult to incorporate a prototype when the machine we need is already built. On the other hand, we could demo multiple machines as a “prototype”and see which machine will specifically meet our needs. Also, we could demo multiple aftermarket decks, blades, and etc. as prototypes to see which will offer the best quality, and still be affordable for us. Developing a prototype is one of our main focus points right now. We are trying to make a product that is possible to produce and at the same time it needs to work. We have an all-natural product that needs help being developed. We plan on using partnerships to our advantage by using their expertise to help us develop a prototype. Tests and experiments will be used to help us find out if our product will be successful. We will find the needs of the customers to help us develop the prototype. In the above reading I was very intrigued by the concept “fail successfully”. Failing the first few times will help us see what needs changed and eventually lead us to the answer. Personally, I believe that developing a prototype is a key driving during the process of developing a business. Even more of this is done with potential customers in order to shape the product for their needs. Moreover, it helps to better understand what the market needs. Developing a prototype can help the business to understand if the path they envisioned is close to the reality or if they have to make arrangements to the initial idea. Concerning the business that Andrew Weaver and me are developing, the process of building a prototype is difficult due to the fact knowledge, machines and chemical processes are costly and need assets. Nevertheless, a prototype can be even developed theoretically; but we have to be sure that the final product can be economically sustainable and that meets what the market lacks. I completely understand the importance of a prototype. I think developing one with a prospective client can be risky. You have to on your game, I worked for a startup company last year in the cattle mat industry. We used a farm to our north as a testing ground for the flooring product. It was a great idea. We could put our product right next to existing products in the facility and quality test them. The clients really liked our product, but I don’t know how impressed they were with the owner. I think that if you want to use someone else’s facility it is crucial that you have your ducks in a row. Using the business I and Maria Marino are developing, to create a prototype I think the best bet would be to use my parents already existing facilities to test our product. I think that it is the least risky option. We could have local farmers and companies in to see the product work once we are ready for them to see not only our product but the company as well. Understand the importance of prototype will not only help you with your business but I believe it will help you in the future as well. I believe that if my partner and I use some of these ideas it will help our marketing business become stronger. Communicating and learning about what the customer wants will help us form the base to our company. Growing up I tinkered on a lot of different projects; stealing scrap lumber or discarded metal from around the farm to build these min-projects. In each of these projects my idea developed as I built it because I could see what worked and what didn’t as it was built. These were things that I could not have planned on until it happened, but by being flexible I ended up with a better product. I think this is very interesting because i think prototypes are a very important step in developing a new product because you need to be able to see what works and what doesn’t. Without these you would just be going with kind of your gut feeling or what you think is right and you could put it out on the market and it may fail. So seeing if it works and failing a couple of times or 100 times before you succeed using prototypes is a big step in making a good product. I believe building prototypes for your product is a very important step in developing your product. Prototyping makes you build and complete every step in manufacturing your product. This step allows you to work out any kinks or change anything to better your product. Without a prototype your product is still an idea. I believe this step allows you t fully create and refine your product. Being an engineering student, a good amount of my future career work will deal with designing and developing prototypes, so I can see where the importance of developing prototypes comes from when developing a business idea. I am a partner with Sam Peterson developing the business plan around Step EZ. Prototyping could play a significant role in the development of this idea to create an affordable, yet effective model that could work as an attachment or be its own separate entity. I believe prototyping will help us decide which direction to take with regards to being an attachment to current ladder designs or being its own tractor ladder product. By creating prototypes, we could test our product with our target market and gather information and ideas on how to develop and create the product. To develop a product, a prototype is needed to see what works on the product and what does not work. Showing the prototype to potential customers is also something that I think would help a business design a product because people like to see the thing they are buying and could potentially have other suggestions for the product. This helps the founder find out what customers are looking for and how he can build a market around the product, and the founder can find out a lot about the product once he or she can actually see it. Prototyping may apply to my business during the app design and development process. My business is the Trucker Tracker app and we are going to go through a website online to design the app so there will be many proposed app designs. If I have interested investors or businesses I will show them all the different design proposals to get their input on them. By showing them the dirty prototypes or designs that the tech services will provide me with will make them feel like they are apart of the process, which will develop a good customer relationship. It will also ensure that they will like and use the app on their phones once it is ready to launch. Incorporating a prototype into our business plan will be a huge asset. Our prototype needs to be somewhat consumer ready knowing that to test if our product is really useful, seeing as it needs to actually be worn and tested in a fire like situation. This will also give us a very easy indication on weather or not certain aspects of the product need to be improved on. It will also tell us if firefighters will actually be willing to where the PPE in a live fire. With this firefighters will better able to tell us if they feel that the product could be a key component in saving lives. In the case of breadcrumbs I feel it is a necessity, like most businesses at answers many of the questions that need to be answered before you enter into the market. A “dirty prototype” would translate into a mock travel package for Ag Realities. Since we are offering more of a service, there is not a need to manufacture a product, but the results are just as useful. Creating a mock travel package would allow us to gauge the interest of what we think our target market is, and give us the opportunity to change it if necessary. Secondly, it would help us pin point an appropriate price that gives Ag Realities a profit while remaining affordable for travelers. Going out and making contact with the potential customers is the most important to establish an actual need for our product. Making connections with them is also important for later on in the business process and they will be able to give you an idea of the potential market for our product. Developing a customer basis and knowing the numbers of how big the product starts out as. For my dirty prototype It will take a couple years to come out with a finished product. Whitetail science is a company I am working on that is working with mother nature and living organisms as a variable. I would say my prototype would be the big bucks that I harvest off properties. It will be hard with it not being hunting season right now. Constant monitoring of the animals will give us a better idea on what is working. Our business is a new model, rather than a new technological development. However, we are utilizing rather new and unknown equipment. For us it will be important to display this equipment in a creative way since we cannot present the actual truck and trailer unit. The article of the week sparked some ideas on how to use videos or performances to visualize. Using something visual beyond pictures on a slide will be useful in explaining our equipment, but also the full model through the customer experience that we want to focus on. Maybe potential for something more interactive. I like the idea of iterative product releases. It is not possible to get a product right the first time around, and most products need improvement over time. I think a lot of entrepreneurs go in with the idea that their first prototype of the product has to be perfect and complete; however, it is really challenging to fix unforeseeable problems in the first version of the product. For EquiSpection, our initial prototype may be more visual than physical. We are working with very small, almost microscopic, products. It’s hard to bring a physical representation of that in for people to actually see, so our initial prototypes will be visual representations of our actual product. Prototyping is an important part of any startup, especially if you are trying to convince investors to invest in your product. I could stand there and talk to potential investors about 9 Line for Life until I’m blue in the face. They might be impressed with the idea but the thing that would really convince them to invest would be a functioning prototype. Something they can physically touch or see that proves the product will work. Prototyping is extremely important to show investors and/or potential customers that you actually know what your doing, and have a plan going forward, so that they may feel better about investing in you. My partner and i are developing a product and solving problems as we see and hear from many turf managers. Its not the case where we may think its a problem but others may not, this is a real problem and we are working to stay ahead of the technology and solve this migraine problem for our customers, and with our customers. I am helping Davide with his business called Eggvolution and I know that creating a prototype is very important. If we have a way to show the panel the paper made from eggshells and how we were able to create the paper, I know we will have a much better showing of the product. If we don’t have a product to show, the panelists will just see us blow a lot of smoke and not give it a good thought because the idea sounds very crazy. It will also ensure that we can get customers excited about the product by showing them that this is a product of the future. A “dirty prototype” might be difficult when starting up a business that provides a service. Helping with T&K Nielsen Farms will hopefully teach me how networking and providing a service to local people can be a profitable business. One way that we could use a prototype is by using only one sprayer. This will let us know if there is room to grow as a company, or if one sprayer is enough. This will also let us provide a service for customers and get feedback from them. If they think that we have done a good job, then we could potentially grow the business. Our prototype will let us gauge customer interest and let us realize our market potential. Overall I feel that prototypes are a good thing, they just work better with some businesses in comparison to others. Good point David. I like your thinking on gauging customer interest through our service. I am working with Travis Meisgeier to further develop his idea of “Rocky Ridge Orchard and Vineyard”. For our business concept, a prototype would be very useful when we are pitching the idea to potential investors. Having either a drawing, or model of the orchard’s layout would aid in allowing listeners to visualize what the property will look like. If investors can look at the intended layout of the property, it would hopefully lead to them imagining what it would be like walking around the orchard/vineyard. Although our prototype would not be an actual “physical product”, a simple drawing or model along with financial information could prove to be very beneficial in winning over potential investors. Being the found of T&K Nielsen Farms, Inc., prototyping is more difficult when the business is already functioning and gaining customers each day. The prototype that I am applying to my business is learning how one machine can service my current customers and what the quality, satisfaction, and cost savings impacts my customers. Prototype #1, sprayer #1, can serve as many customers as it wants, but this can only be to a certain point when the business needs to re-evaluate how much more can the machine handle or when is the time and how many acres are needed to add another machine. Prototyping is different for many businesses as each one deals with a service or product. Like I said before, the simplest way I can prototype my service is through the machine and what customers see after using my service. I feel that a prototype is partially beneficial to my start up. The reason I say this is because its not much of a product to sell, its more of a service that has some side products. The way a prototype would benefit is that we could learn what the people like and dislike about the farm. We can see their views and put them in to practice by changing or keeping certain aspect that the like. For my company a prototype would be a test run at the farm with community members. The way it would work is they go through the entire process of the farm and leave reviews when they are finished. With this route we can see exactly what the people are wanting. Overall I would consider a test run as an ideal step in the start of the farm tours. I am working with Tyler O’Connell on his startup Big Creek Outfitters. While it is extremely hard to come up with a prototype for a hunting operation, there are certain steps we can take in the business process before launching in head first. Before we sink a bunch of money in to building facilities and more land, we can use what we have to try and develop a small, but very loyal customer base that we can rely on for a steady source of income year after year. While this may not take us to the next level in terms of income and customer interest, it will prove to us that we have a service and product that the customer does indeed want. My business is raising shrimp, so a prototype may be just a tank design or a small tank. A dirty prototype may be just a kids swimming pool. In shrimp production there are many variables to achieving a high quality shrimp. A small scale model of a shrimp tank may be used to asses many of the risks and factors involved in aquaculture. Since land-lock aquaculture is such a contrarian idea a proof of concept may be advantageous to customers and investors. In my business Step-EZ the prototype will be key in becoming a success. Finding out how high off the ground older farmers are able to step and getting their insight if this product will help them is a must. A prototype will allow older farmers to test out the product to show them the benefit it has to offer. Getting their input and advice will allow us to make changes to our prototype to make it more useful and beneficial. Tyler and I have talked about making the step lower automatically when the tractor door is opened. This will be an idea to bring up to farmers. Also, the potential customers will help us decide if they desire a handrail that we can put into our product. These older farmers may also suggest other machinery and equipment that they think they will benefit from the use of Step-EZ. Developing a prototype will give them an idea of our ultimate goal of making tractor accessibility safer and easier and ultimately give us an idea if they need to buy one. I am Kylie Swanson’s partner for her business The Farmers Kitchen. This is an ag education restaurant that does cooking classes as well. Due to this, we will not have the “typical” prototype that some businesses will have. Our prototype will be made up of a couple of things including a menu sources from locally raised foods and location/building for the restaurant itself. We could potentially use a “dirty prototype” by starting small and offering our expertise for a meal for the community or start with a small location and building to see if customers are interested in our meals and services and expand and grow from there. I completely understand the thought of a prototype when talking about a business that produces a manufactured product. When talking about a business which provides a service instead of manufacturing a product, things become a little more foggy. I definitely agree that having a prototype of a manufactured product can help the business figure out what works and what doesn’t for them and what the customers will like the best. While working on a prototype for a business which provides a service, I believe things become a little more complicated. When thinking about the best way to come up with a “service prototype”, two things come to my mind. The first answer to the problem I think of is coming up with a contract that completely explains what services will be provided along with how and when they will be provided to the clients. Another type of prototype for a service business would be a trial run or an example client who is willing to be the “guinea pig” and help the business work out all of the problems that come up during the trial run. By doing this, the company will obviously have a way to work their problems out and they also have a client who can help them with their marketing schemes. Because my business, Crescent Hill Farm, provides a venue as a service, incorporating potential customers into the development of the prototype will be imperative for the business to “fail successfully.” Taking into consideration the suggestions of potential customers will not only ensure the business is providing what the customers want, but also helps develop a network for other potential customers. With this business venture, there is only one chance to build the barn. However, the way the business runs and the packages offered will serve as the iterative aspect. It is unique because changes can be made regularly to reflect competitors and maintain approval of the customers. The success will be dependent on consistently surveying customers and obtaining feedback with suggestions to ensure evolvement of the services provided over time. For my partner Zach Elliott’s business the Famers Marketers I think a basic prototype will be difficult but fun to do. Several prototypes will have to be made in order to represent the different services that we offer. Social media examples, advertising examples and other will have to be MVPed. With later prototypes, we’ll have to show different example of marketing to different companies since not every company will want the same thing. For my partner’s business Stock Shepherd I think a basic prototype will be difficult simply because both of us do not have much technology background. We know somewhat what we are going to do for the prototype but not sure how to make it work. We can use a prototype to build customer relationships by going out to each farmers place and telling them about our product and how it will help them keep their cows in and be able to track them if they go missing. I am the founder of Globe-Wool, and since my non-profit business is providing a service it is more difficult to create a prototype. My business will however have to create a sort of prototype which includes a list of what supplies women in developing countries will need to turn the unwanted resource of angora rabbit wool into garments such as scarves and mittens to then be sold in the United States. Discussing with organizations already established in these areas, Globe-Wool will need to communicate what resources they have and what we can provide through donors and sponsorship. Working with these organizations and the women we can ensure that Globe-Wool has the necessities to make the launch more successful and more beneficial to the women we are aiming to help. Tait and I are dealing with a slightly different problem. With Elite Self-Storage, and storage in general, it is a real challenge to make a physical prototype. For us, using state of the art rendering is a much more likely path. While this is a fairly “old school” industry, breathing some new technology and life into it should help us recognize long-term problems and solutions before we even break ground. To have a working model or rendering early will be the easiest way to reserve spaces and sell to commercial customers before the facility is completed. I agree with everyone else on the fact that prototyping is a huge component to any business and it is very important. Even if the business is a service, and not an actual tangible thing, you still need a prototype. I thought that the speaker in class on Wednesday said it best when he said that prototyping was a process, and I never really thought of it until he said that. I now understand why a person would call it a process, because it takes time and redoing more than once to get the right prototype. I am Frank Grum’s partner for her business Crescent Hill Farm. This business is a venue that provides a service to people looking to host an event. Since it is a venue customer feedback and networking will be extremely important because it is not providing a typical prototype that can have alterations made to it. The building will only be constructed once so it is going to be essential that it is done the correct way in the beginning. Through customer feedback we hope to gain enough information about what potential customers are looking for in a venue so we can take those ideas and expand from there. I think a prototype is key to the success of my idea and turning that into a successful product and business. Since my product is a glove, I am currently trying to figure out what materials I can use to achieve the desired protecting while still remaining minimalist. I have tested a few things by just throwing different materials together, but have yet to find the correct materials. These have all been dirty prototypes. I believe once I find the materials and can get a dirty prototype that gets the job done, I can start asking others to try it out and get their feedback. I believe this would get them interested in a finished prototype and potentially be future sales. Prototyping seems like the best way for any business to find out an estimate of actual customer interest. Prototypes as discussed in the article can take a number of forms. I think minimal viable product or dirty prototype describe the goal much better. To me a prototype means a smaller working model, while the actual goal is to gauge and peak interest of the customers not necessarily to prove that the idea actually works. As discussed in class sometimes just a depiction of how the final product would work could be enough to gain interest and perhaps financial support. As mentioned in the article the prototyping process isn’t linear, this is true across all areas that use prototypes. Prototypes are always works progress, feedback and understanding of mistakes made along they way are applied to the next prototypes until a marketable product is determined. Even after this point companies continue to improve products and research new ones. A prototype of some kind is important in developing a new business so your customers can get a better idea and understanding of your product or services. A prototype for Voss Construction and Tiling could be demonstration of the machinery that will be used for the services that the customer wants. Along with having tile samples available for the customer to evaluate the quality of the tile. By using these “dirty prototypes” will build customer relationship by showing the quality of our supplies and equipment. Also the customer will have a better understand of what jobs our business is capable of handling. For our project, a prototype is very important. Our plan is to create a dirty prototype that can help the customers visualize our product. These prototypes can be handed out to hog producers and they are welcome to try them in their nurseries. if they like the product, they will buy it. Just words on paper cannot do this. Prototyping applies well to my business, Hired Man, since a key way to reach customers will be online. Creating a prototype website may be the cheapest form of prototyping there is since there isn’t any physical products being put into it. It is also very easy to edit a website or tweak with it instead of dismantling something that is welded or nailed together, like most prototypes are built. The prototype for Hired Man could be just a simple homepage of the website homepage that shows the things offered by the business and how user friendly it is. By using such an easy prototype, customers can easily see what Hired Man will offer them. This can help sell the business to a farmer who is searching for a solution to this type of problem. After reading this blog, I definitely have a new respect for the concept of prototyping and the lean startup principles. After some consideration, it seems intuitive to develop a “dirty” prototype and then evolve your product with the validation of your potential customers. This concept applies to the concept I’m working on with McKinnie Hemp Co.. Ideally, we would like to find a set of seed genetics that translates well to our customers specific needs, i.e., biomass, oil production, seed production, etc… If we at least had a seed that did all of the traits well, with no specific trait dominant, we could at least get ourselves through the door to potential customers and start establishing relationships. After that comes the next prototypes that are tailored to customers needs. Reading this blog was very eye opening to me and how just a dirty prototype can take you a long way. Just getting started and execute a prototype even if it is a pizza box or and old tool bar in the weeds can make all the difference in your drive to create your product. A dirty prototype is often simple yet many people find it hard to start one and the product never has a chance to get started because people think it is too hard to do. This is a big key starting point to a startup is to start somewhere and have a prototype that customers or investors can see. Each one you build it becomes better and better until you finally decide it is the right one you want and production takes off. The dirty prototype is the starting point and you have to start with something. It’s interesting to think that prototypes are everywhere in all reality. If we look around, there are new improvements to iPhones, TV’s and machinery every day. The “finished product” is one that is finally marketable but the original mac was the first of many prototypes that people were willing to pay for. This makes the task of creating and finding ways to build ideas that we know will need improvements more motivating since successfully failing is so necessary to an overrall success in the business. Using prototypes to better develop our plan would definitely be necessary but ensuring that each prototype is up to certain standards would be necessary as well. With the drone idea, expensive prototypes would get costly but is definitely necessary to moving forward and finding flaws in the product and services that we hope to supply people. For our prototyping process for Hometown Hops, prototyping can be difficult, since we are growing a crop, but if we look at it more as a process for product development, we can create a roadmap for getting the highest quality of hops that we would be able to produce. In the coming weeks, we plan to talk with a horticultural research here at Iowa State who grows and researches hops. Her insight will be able to help us to develop the process that we could use for creating a high quality hops product in Iowa. For our business Bovi-Nurse at this point is difficult to determine what our product prototype will be. The processes involved in making this product are far beyond my science IQ. After reading this article though my ignorance in the area does not concern me as much as previously. Many start-ups begin with little knowledge in the area especially product development. I think that the biggest step is simply trying something and working to correct it from there. I think by having a prototype in place when you speak to customers can develop credibility and can help with the sale. For Globe-Wool, our prototype should be a pretty simple task. My partner Nichole owns products that are made from angora rabbit’s wool. The thing that I could see possibly fail is weather or not the scarves or mittens will fit the certain fashion style that is in style at the moment. Often times people wont purchase it unless other determine that it is “in style”. But for the first prototype, it is important just to show the product and the potential that it has. My partner, Drew Dietz, came up with the business Dietz One Pass. Reasons that a prototype would help within the business is that it would show that it is possible for us to be able to limit the amount of passes on a field with putting in just as much product that is needed by the farmer. Showing a working prototype to the costumer will get them to realize that it is much better on the soil for compaction reasons. Building the prototype, with the explanation that we have would help tremendously get Dietz One Pass of the ground. My partner and I are working on starting up a movie theater with a membership. Its hard to say how it will actually work. We can get as many peoples opinions as we want, but just because they say they’d do it doesn’t mean they will. I feel like it is hard to prototype with a movie theater. We pretty much have to go all in and hope it works out for the best. Prototypes are extremely important to a new product or service that you are going to sell. Also having potential customers comment on the prototype is extremely valuable because they are the ones that ate going to buy the product. I am a partner in the company Ghost Fence and all of the key things we need to make our product good is being used today. We just need to bring all the pieces of the puzzle togeather and we would have a great first prototype to show to customers. My partner and I are working on The Farmers Marketers, which is a social media management service for independent cooperatives and retailers. Prototyping a service industry is a really difficult thing to do. I believe that is more important for our company to do extensive research and show how the marketing industry is shifting towards social media. Then we need to demonstrate that we are experts on the subject, rather than having a prototype we need to show them metrics that can establish a track record for success. Rather than doing a prototype we might have to do a free trial or something to star establishing this track record. While for many products and services I can see a prototype being useful, I think there are other things that will make The Farmers Marketers more successful. I am partnered with Trey on Hometown Hops and I believe a prototype for our business would need to involve something as simple as a website or a layout of blueprints involving the process of the business from beginning to end just to allow investors to “see” the product. Developing a prototype like that will help the customer easier grasp the business. I find the concept of “failing successfully” to be very interesting. You would think that the statement was an oxymoron that doesn’t have any applicable lessons for real life, but it isn’t. There are many different ways that you can fail, and yet be a success. For example, you could pitch your business to investors 100 times and not get a single dime, however, you would be developing a network, practicing your pitch, and getting feedback as to why they don’t want to invest in your company as is. The same goes for the prototypes that this blogpost is about. Your prototype may not function as it should or as you think it should at the time, but you are learning what parts of it do and don’t work. With this knowledge, you can build a new, improved prototype. The more prototypes are made, the more time you will have to work out any problems that might be brought up. I think the best prototype forHeartland BioProducts would be a mock up of the facility. Especially a digital version that can be more easily changed that a drawn version when there is feedback that necessitates a change to the blueprint. With a digital version, we can “fail successfully” more easily. When we first started discussing prototypes, I was unsure what that meant for a service based business (Fan Cleaners). Sure the equipment is needed to provide the service, but so many other businesses were actually developing or building something. I didn’t understand what it would entail to create a “prototype” for the business my partner and I are working on. Now I have come to the conclusion that in our case, presenting a prototype isn’t going to necessarily consist of showing a product, but more of showing a process. When presenting our prototype, we will need to explain how our service works and demonstrate the benefits of using our service rather than just ignoring a problem that can cause inefficiencies over time. The article at the beginning of the blog gave me some ideas of ways we can possibly utilize video, and the performance aspect they discussed. Basically our prototype is a process, and as we develop ours, it will evolve as we specify needs among our target audience. And as Brandon pointed out in his comment, we will absolutely have a “lean startup” as our initial input costs are relatively low. Prototypes are essential for every business, including mine. My business however may have a different type of prototype because I will be producing apples, grapes, wine, and cider. Prototypes I will develop will consist of recipes for a variety of wines and ciders. No recipe is ever perfect on the first try, especially for wine and cider. I will need to first focus on producing the best quality apples and grapes possible because that is truly where the flavors will evolve from. Once I have the highest quality fruit possible I will be able to start experimenting with fermentation and the addition of certain ingredients to make the wine taste as flavorful as possible. I will need to take careful notes of everything used in each batch so I can alter them as need be. I will give samples to potential customers so I can get their feedback so the wine and cider that is produced will be exactly what the customers will want when it hits the market. Prototypes can be used to help identify the success level of a business.. Like the article reads, one can create prototype by gradually building a company/business and can assist in validating essential detail to problems and needs within a business. Profitable business models contain a new product and service developed from well advanced prototype with thorough interactions. When starting up a business, the establishment of a prototype can be powerful when trying to avoid drawbacks that are well known to occur in the development of a new business. NoScoop is a product that can be implemented into grain bins to eliminate the amount of produce that gets caught at the bottom of the grain bin causing farmers the many hours of hassle when having to cleaning them. Jared and I’s business proposal applies prototypes by being able to identify and manufacture a product that can advance the agriculture field by being more efficient. By developing a product that can be beneficial to the lives of many farmers we are able to begin identifying the potential success of our business. Feedback from farmers and others in the agricultural field will also be able to provide us and our business with ways to better our product– dirty prototype. In my opinion prototypes can be super important yet can be not important. Yes you need something to show farmers so they are interested in buying it. Usually the idea will catch their attention. Which is a good start but most will want to see it in action. They will not invest tons of money in something they can not see officially work. So in No-Scoop’s instance we will need more then just a prototype to get going we will need a fully functional machine. We need proof our idea works for farmers. We will most likely use prototypes to reassure to ourselves that we are on track and that everything should work. Before we invest tons of money in bigger machines to make an actual bin floor work. Investors especially are interested in a lean startup, because of the risk factor being less. During my teams discussions for our business idea we are now going more towards a lean startup after a long discussion on the complexity and cost of our original idea. 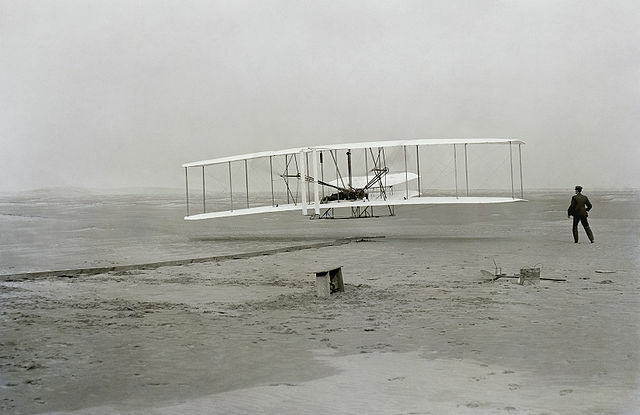 Furthermore, a lean startup can still lead to a complex technology like the Wright Brothers’ who started simple and built their way up. In agriculture I feel lean startups are especially important because getting the product or technology into customers hands then becomes more feasible because it will cost less to the customers and gain recognition in the market. Prototypes are important for all areas of your business startup. Prototyping can help your startup business from testing your product for flaws and corrections to having a prototype to market and attract investors. The prototype must be sound and give an overall idea of what your true product will be. With TG Blinds, our prototype blind for hunters and ice fishers is key for getting our product where we want it in our eyes as well as the customer’s eyes as well. Making the right product the correct way before putting it out on the market is very important also. Prototypes will be important in my business so that we can show the farmer how we can apply anhydrous, P & K, and cover crops all in one pass. This will allow them to wrap their mind around it enabling them to want to hire me. Farmers have a mind of themself and will analyze a product until they think it will work for them. This is why we almost need the product or need the seeder in a working form before we start advertising or try to sell what we are doing. Without a working form farmers will picture it, but I don’t think will want or hire us to do any work without them actually seeing it work. Maybe a plot day or equipment show will help to demonstrate how it works to a large group of farmers showcasing the benefits of it and then in late August they can come back to see how the cover crops are growing and how well they were established.